According to Statista, the global average cart abandonment rate for the second quarter of 2016 was 74.52%. This means that out of 100 potential customers, 75 are leaving for reasons such as “extra costs too high”, “the site wanted me to create an account” and a “too long/ complicated checkout process”. Yet, the high cart abandonment rate is no cause for despair. Approximately 63% of abandoned sales is potentially recoverable by savvy online retailers. 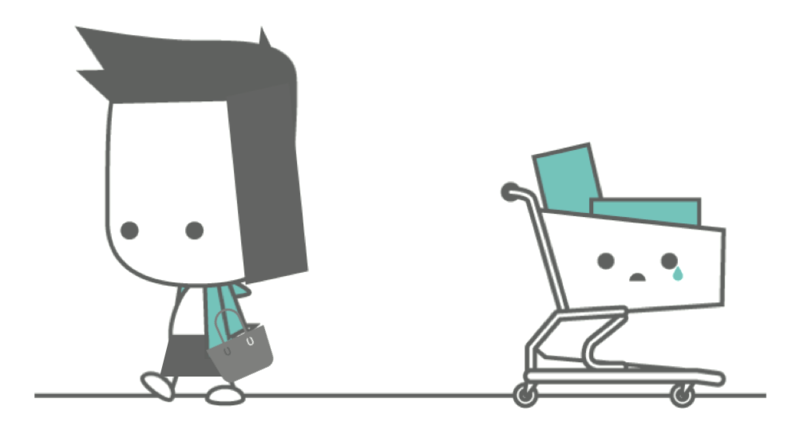 So how can merchants reduce the cart abandonment rate? Offer free shipping. Savvy online consumers are looking for ways to save money. If you are unable to offer free shipping completely, promotions such as “Free shipping for orders over $75” or even making shipping costs clear and upfront have been shown to increase sales. Create a guest checkout process. Shoppers are reluctant to provide private information upfront, but are happy to create an account after they have purchased a product to track shipping and delivery times. Reduce the amount of steps taken to checkout. Conversion studies have shown that the less clicks to checkout there are, the lower the cart abandonment rate. If many pages are needed, it is a good idea to provide a progress bar or another visual indicator. Increasing the amount of payment methods. Offer common payment processes such as PayPal, VISA, MasterCard, AMEX, as well as alternate payment methods (APM). APMs (such as E-wallets and mobile payment methods, transfers, digital currencies etc.) will account for more than half of all transactions by 2017, up from 43% in 2012. In a time where payment methods are becoming increasingly varied and complex, online merchants risk losing sales if they are unable to offer their customer’s preferred method. We aren’t saying that we can offer all solutions to high cart abandonment rates, but PayDock can definitely increase conversion rates by connecting your e-commerce store to multiple payment gateways and allowing access to new payment methods. We allow you to future proof your payments ecosystem in a time of rapid change and development.